Have you been admiring Ugg boots and decided you might like a pair? Are you wondering how they fit and what size to get? Let us give you some tips with our Ugg boots sizing guide. These iconic boots have become a staple in many wardrobes, from the girl or boy next door to celebrities and bloggers. They are a luxury, casual style boot that can be worn at any time of year and anywhere you want. Whether you dress them up or dress them down, they are sure to be comfortable and warm. 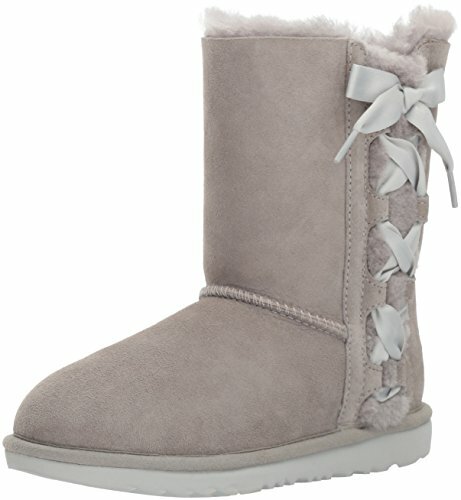 It’s not just the classic soft suede boot with a sheepskin lining that is available from Ugg. They also make rain boots, cardi boots, snow boots, chukka boots, and fashion boots. Let’s see how these boots measure up and help you find the right size for you. Ugg has been making boots in the USA since 1978. The classic boots gained popularity among surfers in California. Since then the company has gone from strength to strength with an ever increasing range of styles. The original classic style and cardi style are only available in whole sizes. 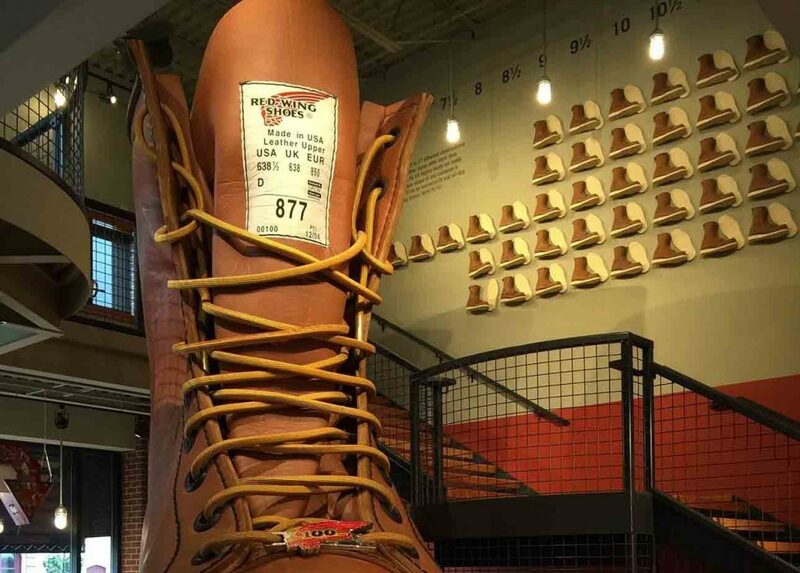 Some of their fashion boots and snow boots come in half sizes. They have styles and sizes for the whole family, from infants through to adults. The sizing charts for all Ugg boots can be found here. As well as sizes for the US and other countries, they give you a length in inches for each size. Consequently, they do advise that you measure your foot to get the right size. They suggest you draw a straight line on a piece of paper which is longer than your foot. Place the paper on a flat floor and stand on it, with your heel and longest toe at the center of the line. Mark across the tip of the toe and the heel on this line. Repeat this for the other foot (as one may be slightly bigger than the other) and then measure the distance between the two marks. This will give you an accurate measurement you can use to convert to your shoe size on the sizing chart. We have mentioned that there are different sizes available depending on style. Here are some of the options and ranges you can find. 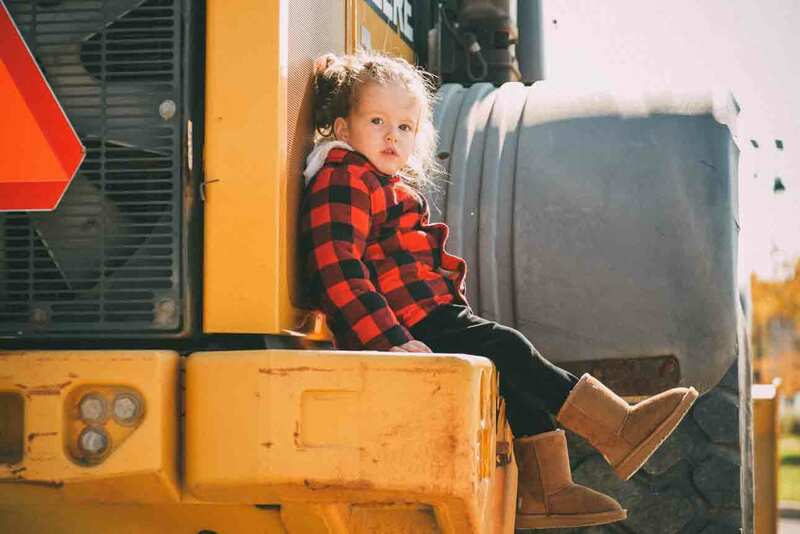 Classic boots, Cardi Boots, and rain boots come in whole sizes. They are available in sizes 5 through to 12 for women, and 7 through to 18 for men. Some of the other ranges of boots such as fashion boots and snow boots for men and women are available in half sizes. There is a wide range of styles and sizes for infants and children of all ages. They start at three months right through 12 years, with sizes ranging from 0 to children’s size 6. You can find a good selection of Ugg boots for all the family here. 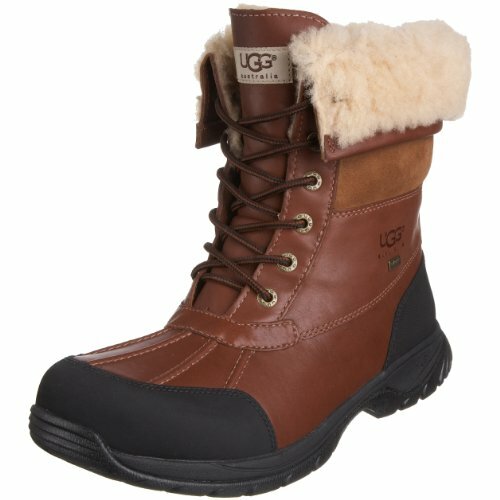 Ugg also has a handy tool on their website which allows you to enter the brand and size of your favorite boots and they will try and match it to Ugg sizing. Called “Your true fit size,” it can be found next to the size selection on each individual product. How Do Ugg Boots Fit? A wide range of styles is available, from pull-on boots, zippered boots, and lace-up boots, each of which can fit slightly differently. Hence, the size that fits you in a classic style Ugg might be different for a fashion style boot. Here are some tips you can employ when fitting your Ugg boots. Try the boots on while wearing socks which you plan to wear with them. Wearing thicker socks can make them too tight, and thin socks too big. Place any orthotics or insoles you plan to use inside the boots. These will take up room inside the boots and can change the required size. Shop for your boots toward the end of the day. Your feet usually swell and become larger when you have been standing, sitting or walking all day. 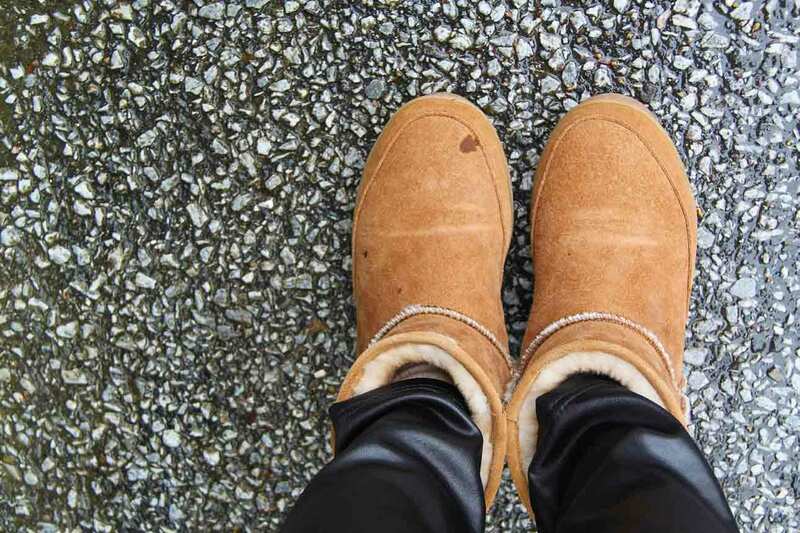 Take your new Uggs for a little stroll when trying on, to make sure they aren’t tight or rubbing in any area. You can change the lacing to alter the fit of the lace-up Ugg boots. Take the pressure off the middle of the foot or toes by skipping some eyelets. This video shows you how to properly lace them. Your heels should be firmly seated and not slip, with a lace-up style boot. Make sure your toes have wiggle room and aren’t squashed against the front of the boot once laced securely. If your Uggs have a removable insole, you can use this to see if the size is right. Take it out of the boot and stand on it. There should be about a finger width space in front of your toes and the ball of your foot should be enclosed. If the boots have a sheepskin lining, this will compress a little over time. Take this into account when trying the boots. If they already feel big, try a size smaller. Many of the Ugg styles are soft, pull-on boots. However, they still need to fit properly. 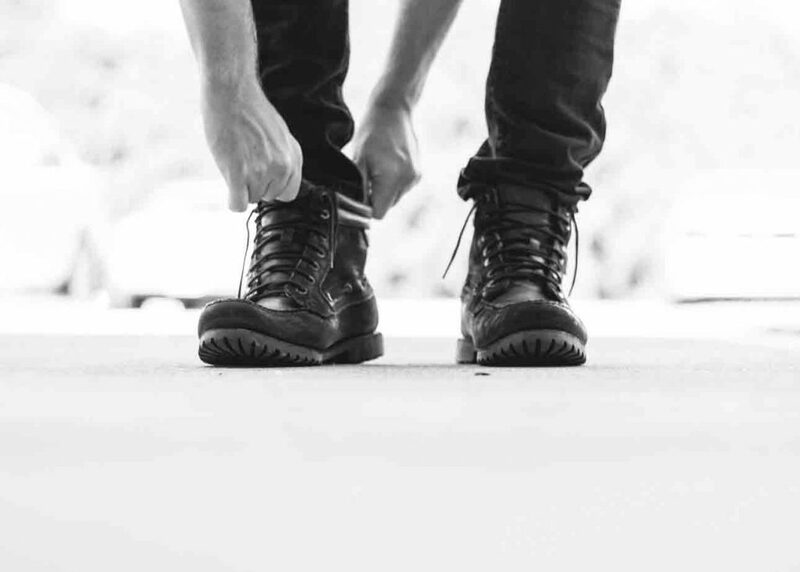 Follow the above tips for lace-up boots, such as wearing socks and insoles, and trying boots on towards the end of the day. You need to apply gentle pressure when pushing your foot into the footbed and it should slide in. If your foot slips in easily with no resistance, the boot is too big; if you have to use force to get your foot in, it’s too small. The inside of these sheepskin-lined boots should feel snug and secure, but not tight, especially on the instep. A little heel slip with pull-on boots is to be expected. Nevertheless, this should be about a quarter inch maximum. Slippage will generally stop once the soles become flexible and the boots are worn in. Classic and Cardi Ugg boots can stretch slightly with wear, so allow for this around the foot and calf when buying your boots. Rain boots should take a little effort to pull off. You should not be able to slide your foot in and out easily. What Size Ugg Boots Should I Get? This will largely depend on the style you choose. The pull-on boots come in whole sizes, so you might need to size up or down if you are a half size. You can use Ugg’s “True fit” guide to try and gauge what the best size would be for you. 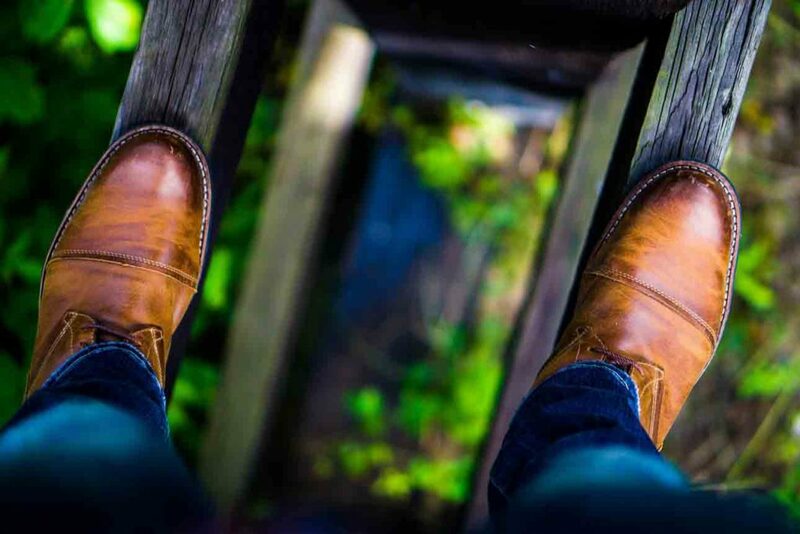 Insoles can be added to help with the fit of boots if they are just a little too big. Are Ugg Boots True to Size? The general consensus of opinion seems to be that classic, cardi, and rainboots tend to run a little large. On the other hand, fashion boots, snow boots, and other styles will generally run true to size. Should I Wear Socks with My Ugg Boots? The natural sheepskin lining of these boots may feel comfy and warm, but might accumulate bacteria when your feet sweat. Wearing socks will help to prolong the life of the inside of your boots and prevent them from becoming smelly. 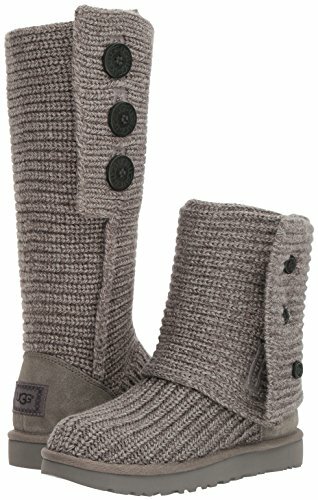 Do Ugg Boots Have Any Arch or Foot Support? Classic Ugg boots are flat soled and don’t have any built-in support. Should you need this, remember to put insoles in to compensate. Ugg boots look like they are here to stay. They are extremely comfortable boots, as long as you buy the right size. With so many styles to choose from, you’re sure to find some that will fit perfectly into your footwear wardrobe. Use our sizing and fitting tips to make sure you get the right size for you or other members of your family. We hope you enjoyed our Ugg boots sizing tutorial and picked up some helpful hints. Please leave us a comment, we would love to hear your insights and experiences. Know others who are interested in Ugg boots? Please share.